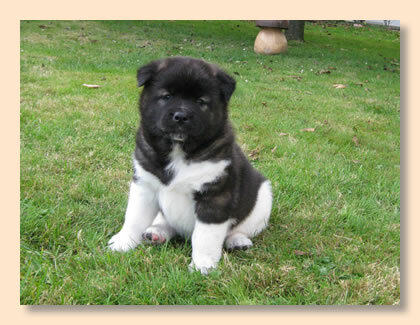 Today our last puppy was picked up by its new family. 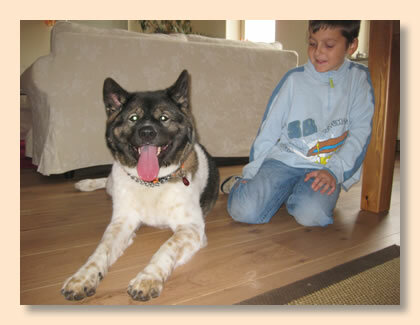 This farewell was very hard for us, as Indi felt at home with us in a way. 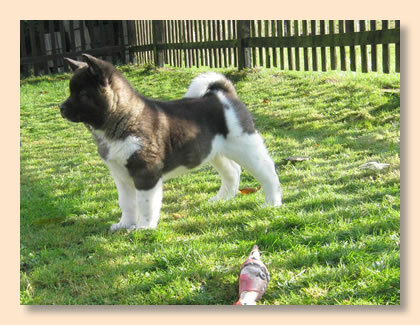 Now he has become a British, but first he lives with his big family in Bergen-Hohne (Lower Saxony).With Kelly, Michael and their six children he will share home with his older sister Fee-Kimiko. 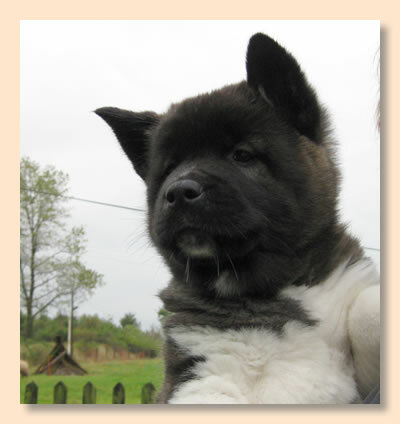 Kimiko also came to pick up her little brother. 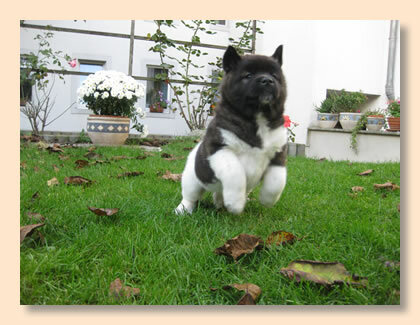 Bye, bye, sweet Indi. 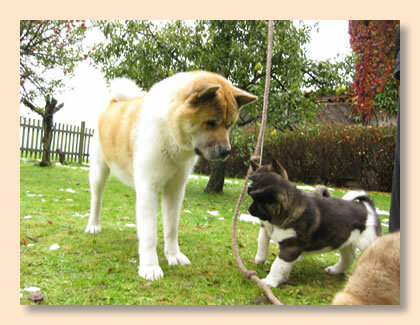 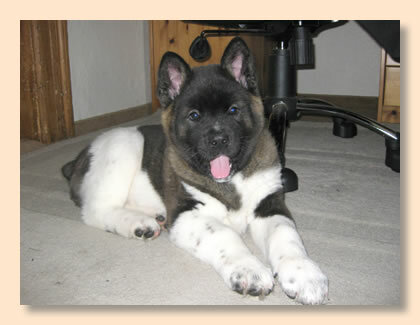 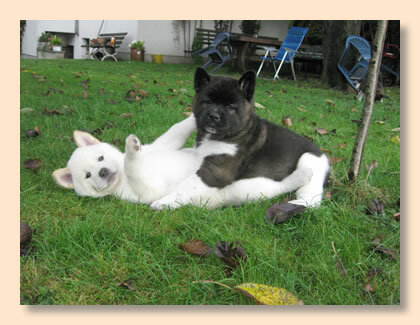 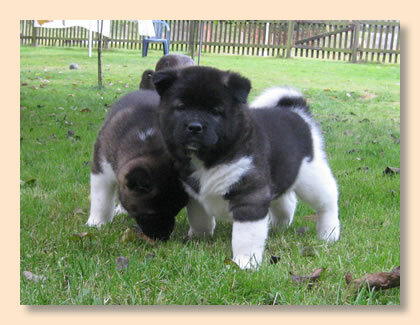 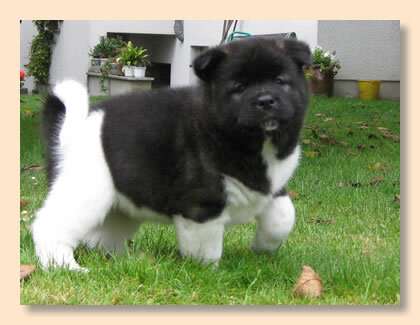 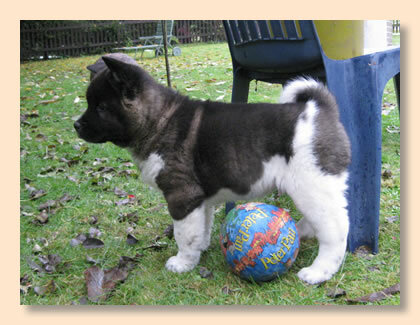 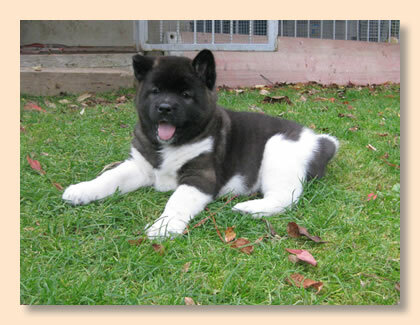 You will certainly become a really great and handsome American Akita male.